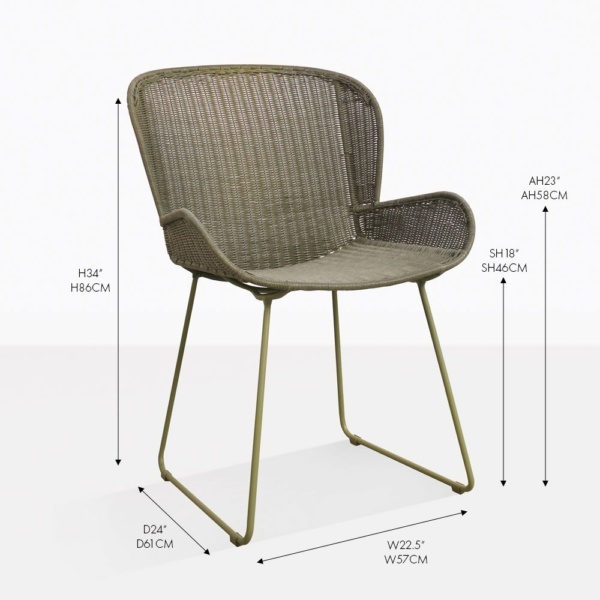 The Nairobi Pure Wicker Dining Chair has a myriad of unique design features; with its tightly woven wicker, arched and curved frame, and beautifully organic moss colored wicker, this chair makes the perfect addition to any of our dining tables. 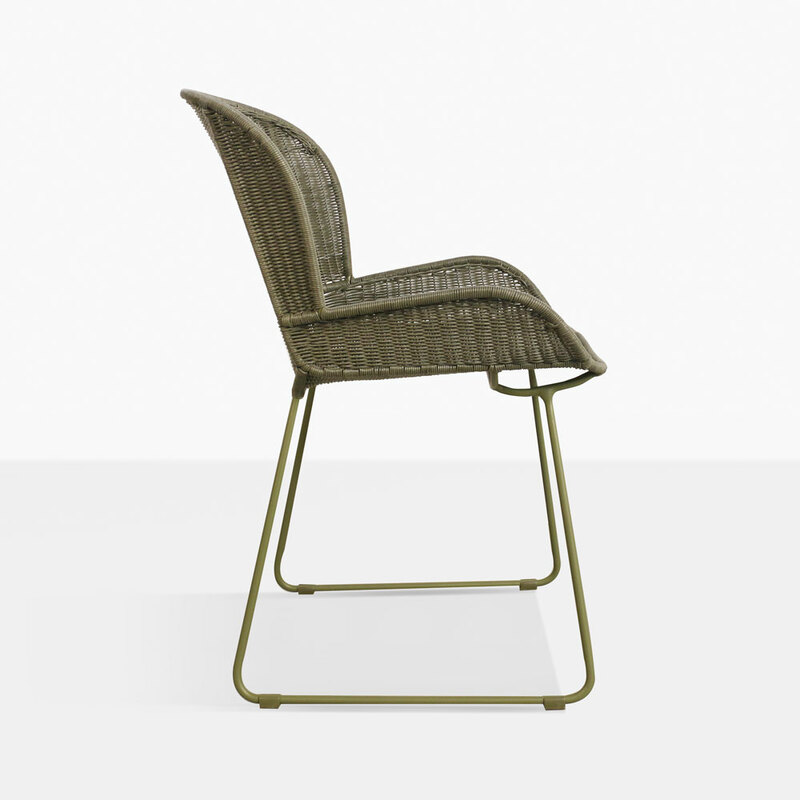 The chair is versatile and lightweight making it easy to use in any space of your home, whether it’s outside or indoors. Being both modern and traditional, this chair has the ability to compliment your patio, garden, or living room. 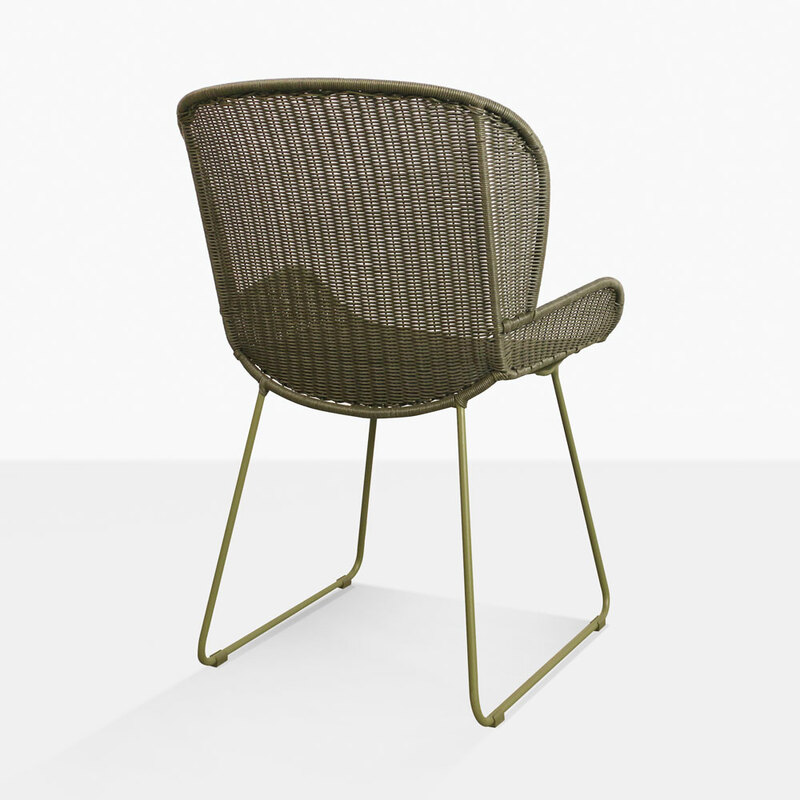 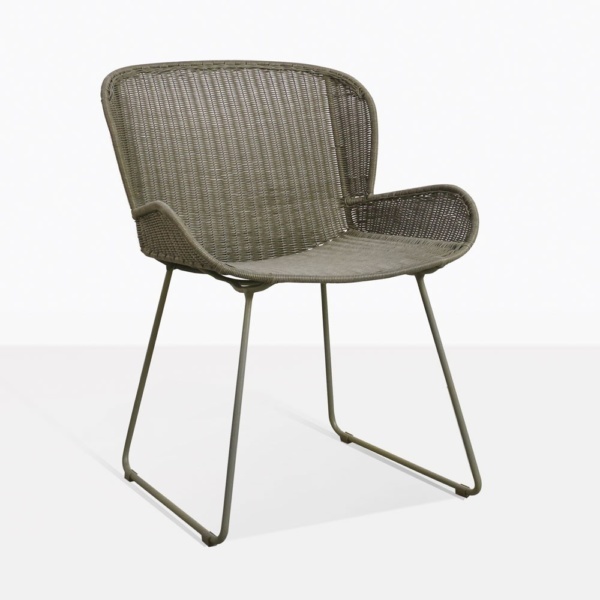 Made of pure wicker, the Nairobi Dining Chair will give you the longevity you seek when decorating your space. 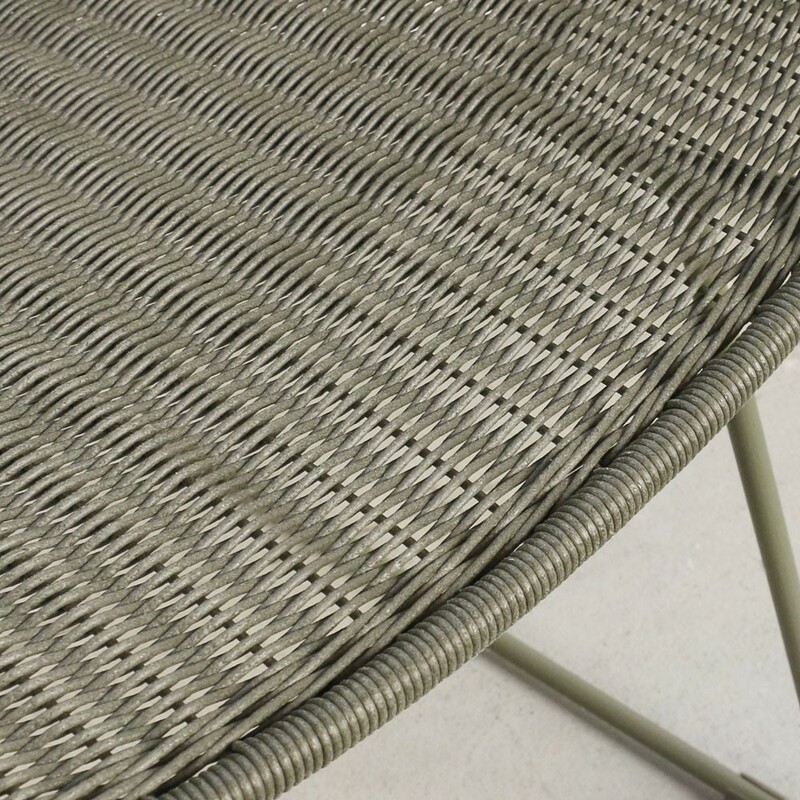 Our wicker outdoor furniture is UV and weather resistant, with the list of benefits that our wicker furniture has is truly exceptional.